How are you today? What a crazy week I've had! Between fabric reps and long arming I feel like I'm spinning. Thank goodness it is Friday! And what about that little snow storm? Thank goodness it was a Spring snow storm and we are back to sunny skies! Did you know there are only two weeks left until the start of Shop Hop? 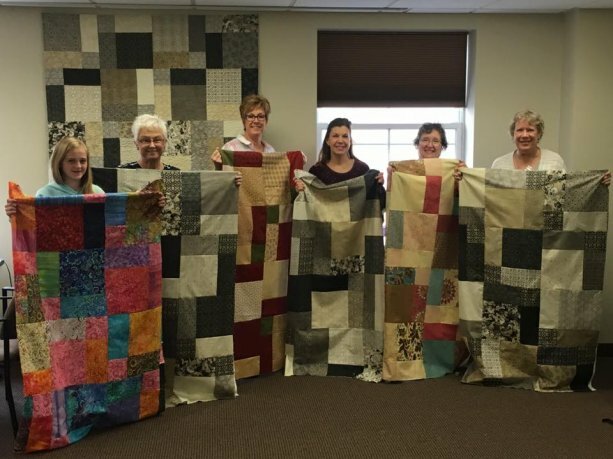 The 18th Annual Nebraska Shop Hop is right around the corner - April 7th to April 16th! This year's fabric is themed Seasons Sewn. I can't wait to see what everyone makes with it! Shop Hop bags are available to purchase in store now!! They are $15 each so hop on in and get yours today! Check out these NEW woolie kits! 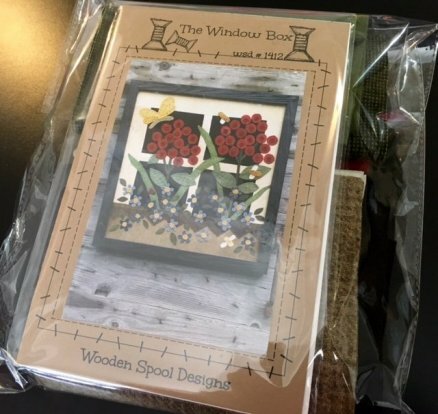 The Window Box by Wooden Spool Designs is a beautiful Spring project - perfect to be framed or made into a pillow. 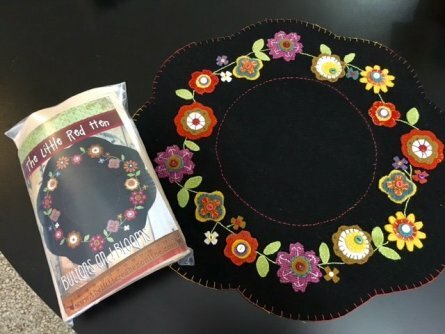 Buttons and Blooms by The Little Red Hen is a gorgeous 16" round table mat. Perfect for sprucing up any space! We had a blast at Pamper & Press. Everyone got their projects completed! How fun! Look for another Pamper & Press later this summer!